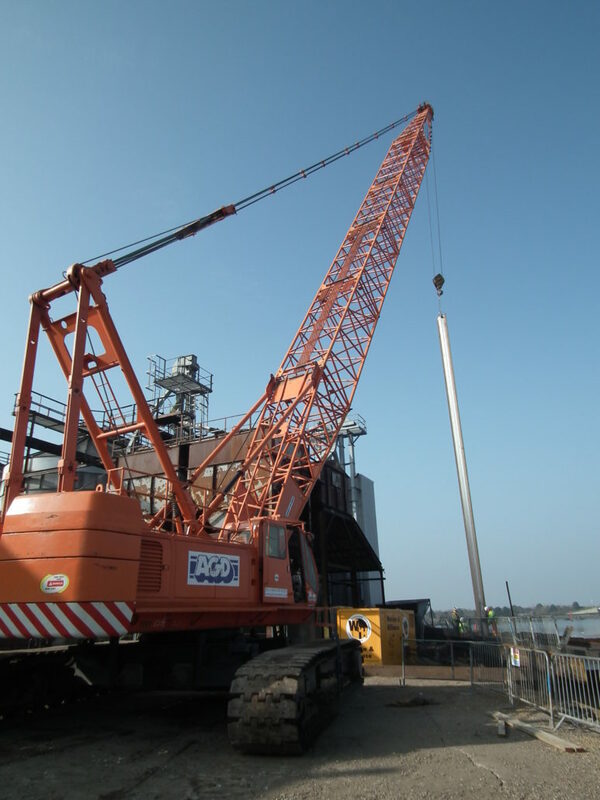 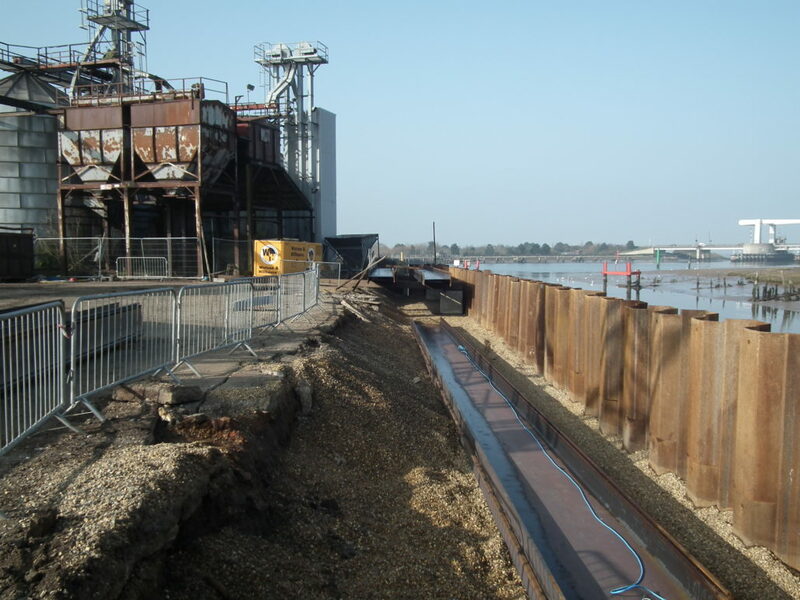 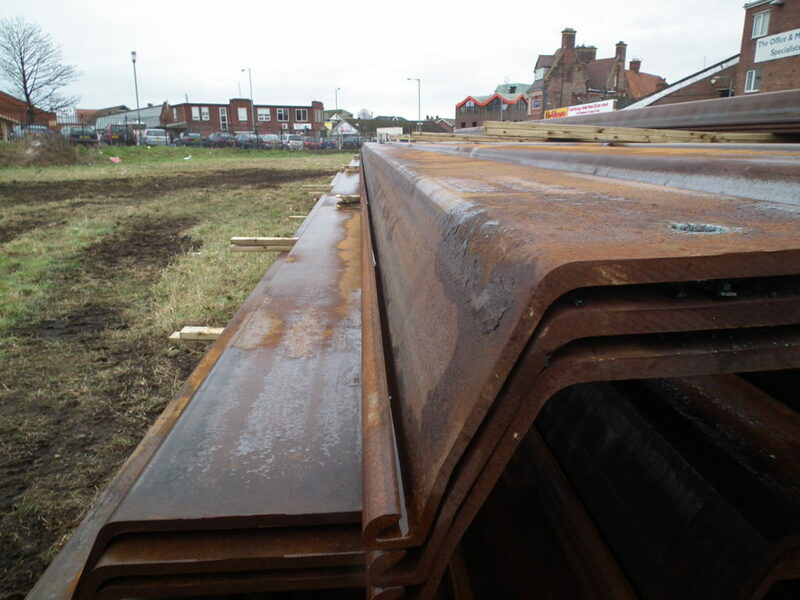 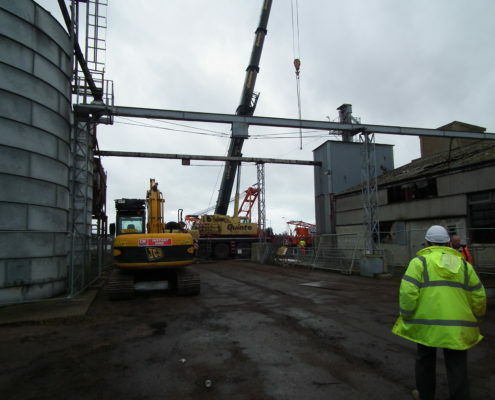 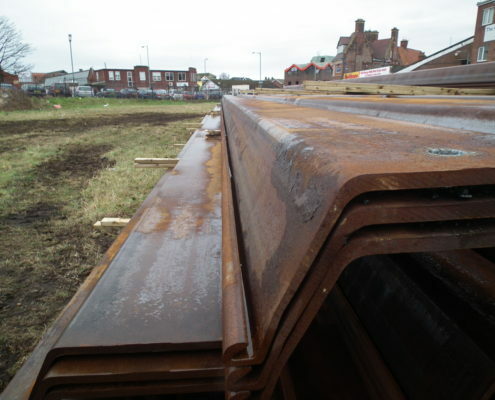 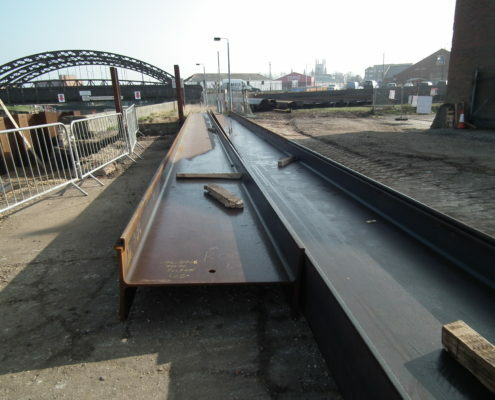 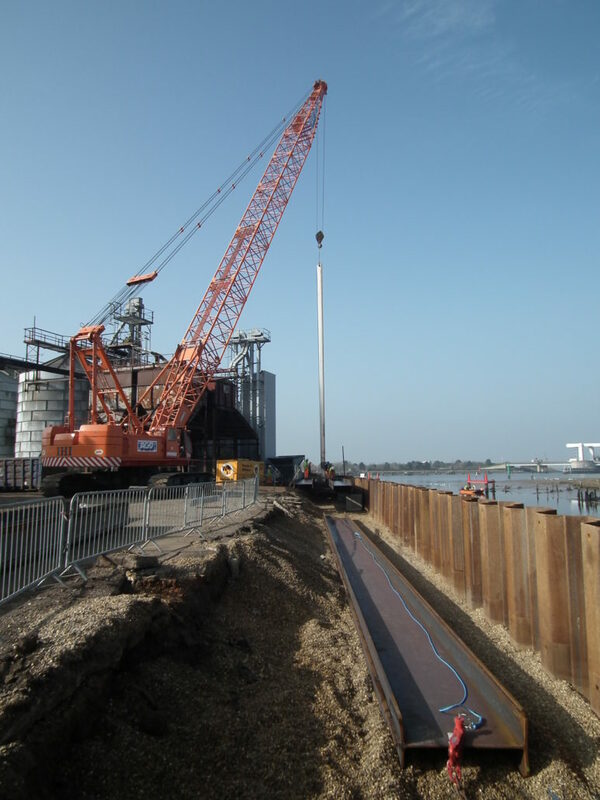 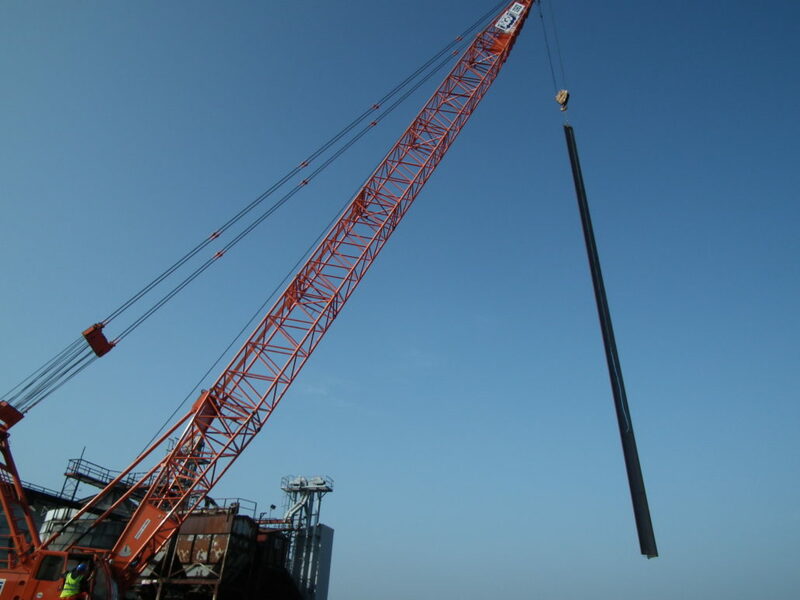 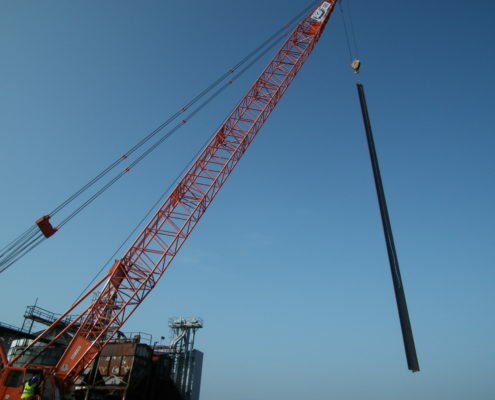 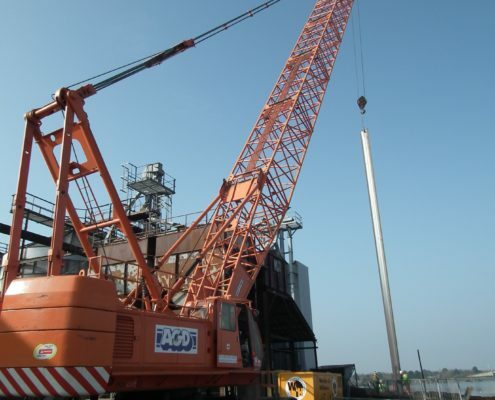 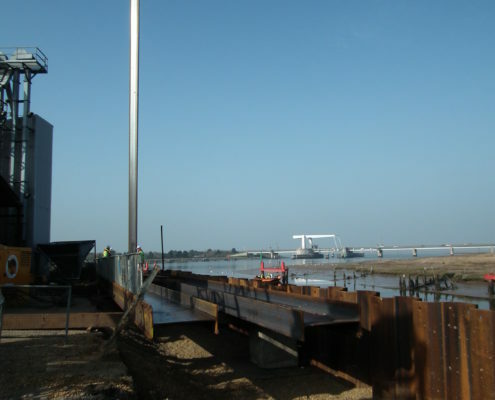 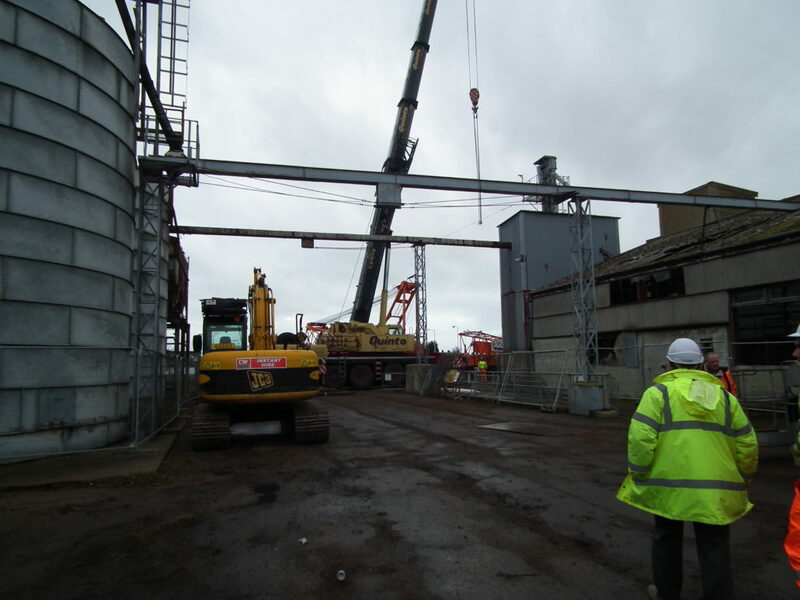 The works were to rebuild a failed section of Harbour Wall in Great Yarmouth, Suffolk. 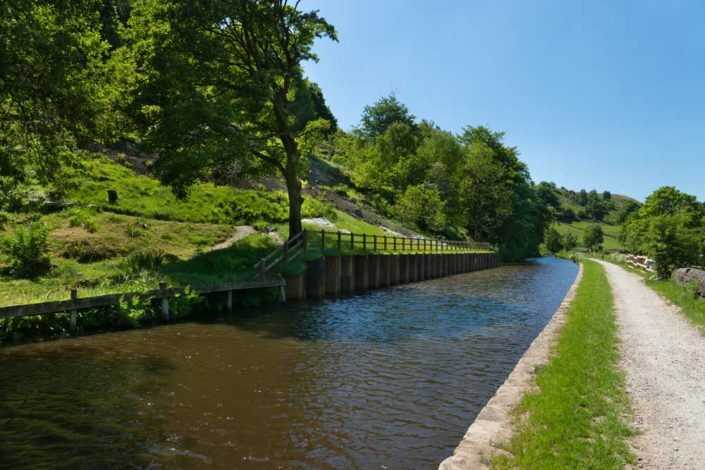 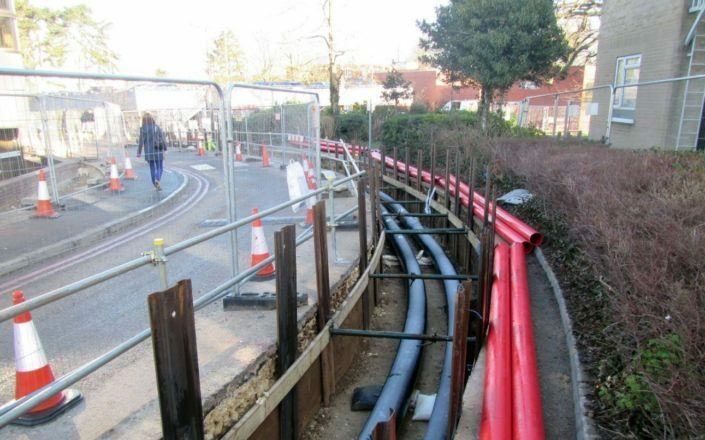 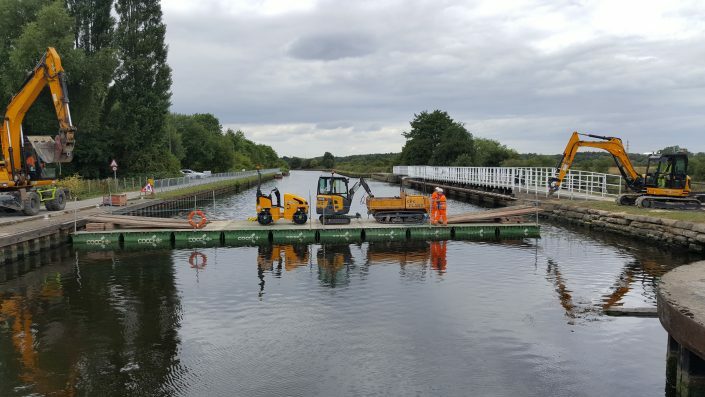 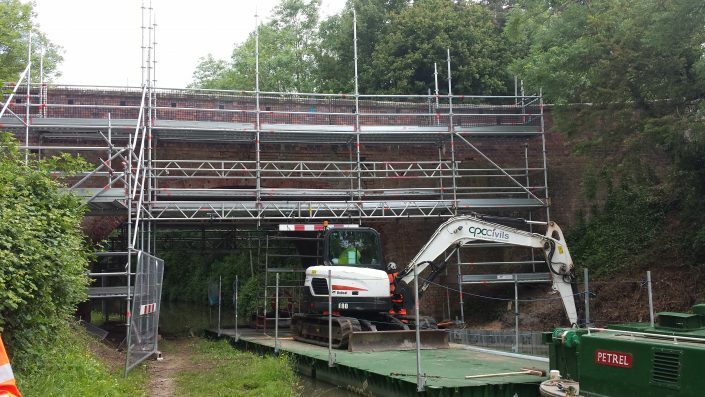 The Project has presented many challenges as the working area is very small for the works being carried out but close liaison with the local authorities and land owners has led to good relationships being built and we have negotiated additional access and lay down areas. 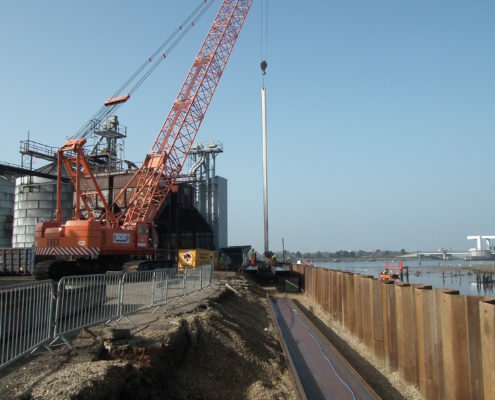 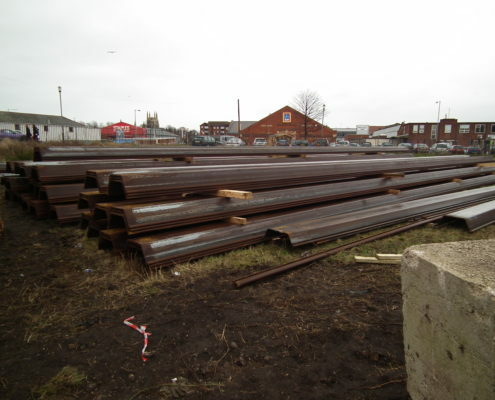 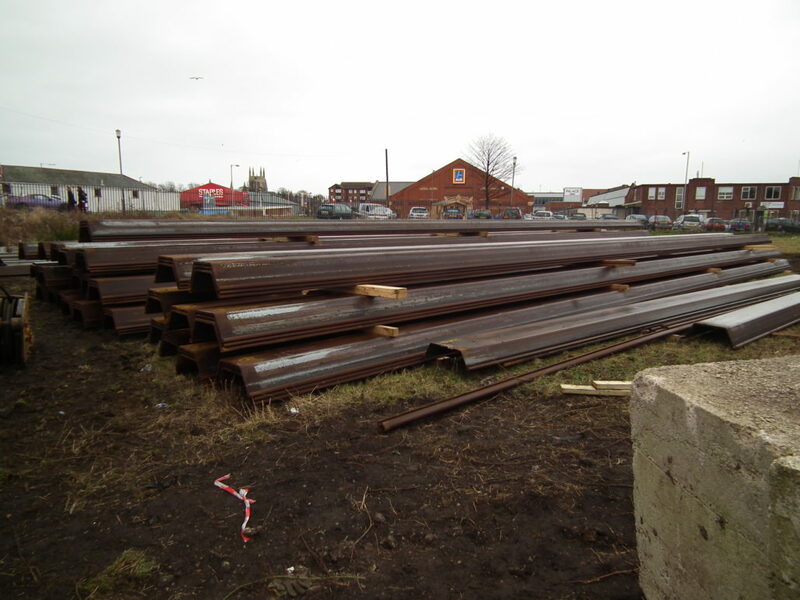 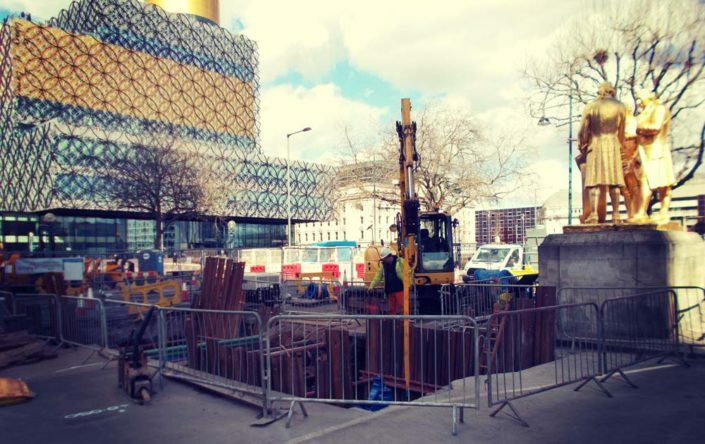 The work involves removing the old piled wall and installing new 23m long HZ and AZ piles on the line of the existing wall. 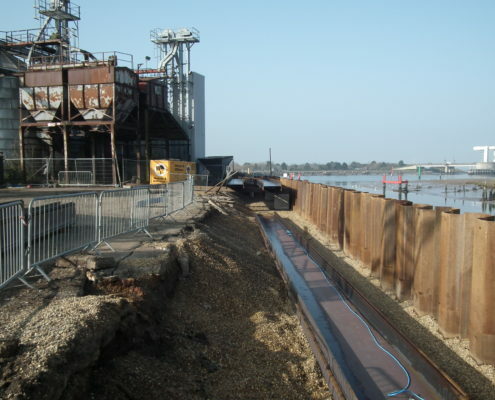 To ensure that further collapse of the structure does not occur when removing the existing piles, a temporary cofferdam was constructed around the work area, this was filled with gravel before removing the piles, the gravel then prevented the slippage of the existing ground whilst the new piles were installed. 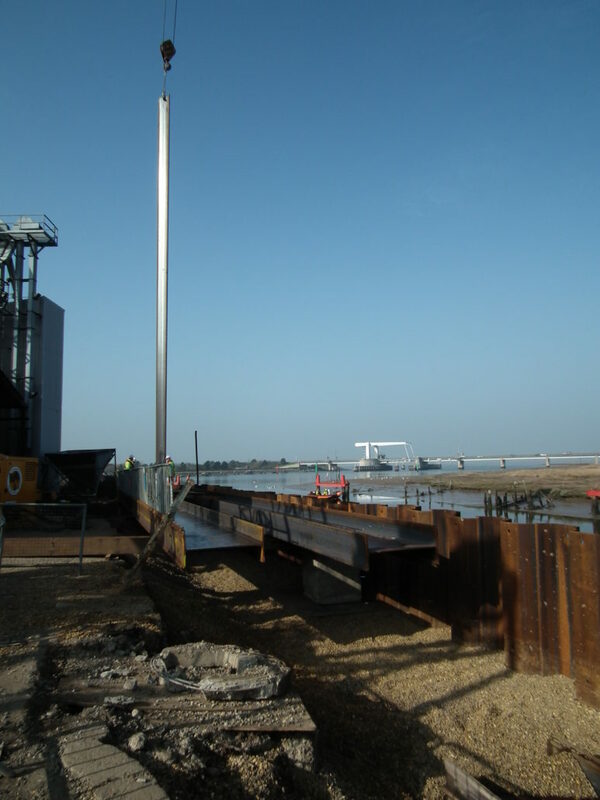 Once the new piles have been installed it is intended to re-use the temporary gravel support as fill material below the new concrete apron that is to be constructed at the rear of the new wall. 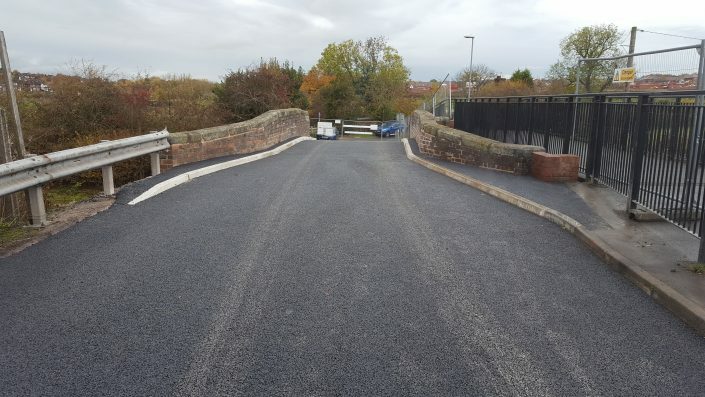 Savings were approx 1000t of imported road stone plus the disposal of an equivalent quantity of unsuitable materials upon completion, this was a large saving in costs and in environmental impact as there was 1000t of stone NOT quarried, this also saved on transport, likewise for the disposal off site there would have been the environmental impact of taking the u/s materials to a recycling centre.